Der Artikel Bruce Springsteen (geb. 1949): The Album Collection Vol. 2 (1987 - 1996) wurde in den Warenkorb gelegt. 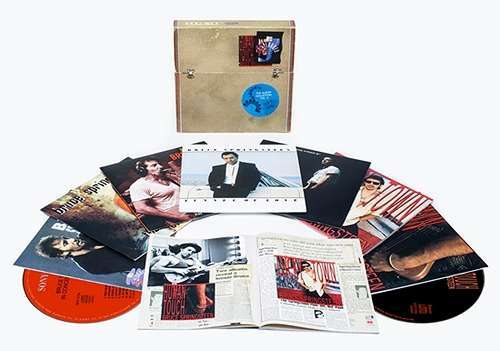 Cardboard sleeve box set release contains five albums released from "Tunnel of Love" (1987) through "The Ghost of Tom Joad" (1995) as well as two EP works "Chimes Of Freedom" & "Blood Brothers." All albums are remastered for this release by Bob Ludwig and Toby Scott. Comes with a deluxe booklet. Each mini LP faithfully replicates its original vinyl design. Comes with lyrics and a description.